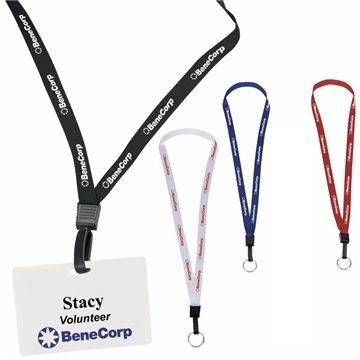 Easily seen Lanyard holder helps you keep track of those necessary items. Everyone loves the pen. This item was very favorable for all of us at job festivals. Quick turnaround time and the product looked great. High quality, great price. Veronica very pleased. I was great, you did an excellent job. they are a bit larger than I anticipated, they feel very sturdy, which is strange with how elegant they are. It looks great.